Towing a normal trailer is much easier than towing a horse in a trailer. A horse is several hundred kilos of unstable, top-heavy mass that can move around in your trailer and it makes driving a challenge as you will feel its movement through the steering wheel. Of course, different horses have different characters, too. Some horses will travel well and others won’t. If you’re thinking about getting a horse, or you’re learning to drive and will want to tow your horse, here are some guidelines to ensure that you and your horse are safe on the road. If you’ve never driven with a trailer, or manoeuvred a trailer, don’t make your first time with a horse in the back. Take an empty horse float out for an hour or two and get used to how it feels. You won’t be able to accelerate as quickly and it will take longer to brake. You will have to take corners slightly wider to avoid clipping things on the apex of the corner. The biggest challenge will be reversing your horse float. If you have a person to help guide you it will be easier. You must not brake suddenly with a horse in your horse float as you could injure the horse severely. This means you’ll need to increase your following distances and look as far ahead up the road as you can (at least 10-12 seconds) to help you anticipate when you’ll need to brake. Give at least four seconds gap in dry weather. Begin braking early and gently, being smooth and progressive with your braking. As you come to a stop, release the brake slightly so that the stop is smooth and not abrupt. Horses will step to balance when you brake, and this can unsettle the trailer. Check for traffic lights ahead and be ready to stop if necessary. If a light has been green a long time as you’re approaching it, chances are it could change to red before you get there, so be ready to begin braking. Be especially careful when driving on a long downhill stretch that you don’t get brake fade. This is where your brake fluid boils. Change down one or two gears and let the engine do the braking. It doesn’t matter if the revs are high, as long as you don’t exceed the rev limit. Taking the slope slowly reduces the amount of energy the brakes have to dissipate. Your acceleration will be blunted due to the weight of the horse and trailer – you won’t be able to pull away as quickly, and you won’t want to either as it can unbalance the horse. A horse can cope with acceleration in a straight line because often they have a bar behind them to hold them in and they can rest on this. Acceleration through corners is more difficult for them. It’s best if you are 5-10kph under the advisory speed. Also, remember that the speed limit when towing a trailer is 90kph. Pulling into and out of a driveway can often be accompanied by a bump due to the kerb and gutter. Take these slowly so that you don’t upset your horse’s balance. Your vehicle will be double the normal length so it will take you more time to get across the intersection. You will also be accelerating while turning which can unbalance your horse. Use gentle acceleration. If you can anticipate a gap and maintain a slow speed coming up to the intersection and through it, this is better. Wait until you are travelling in a straight line again before you apply too much acceleration. You need to look as far ahead as possible, and cutting the corner reduces your vision of the road ahead. Be extra careful if the road has adverse camber, where the slope of the road is towards the outside of the bend. 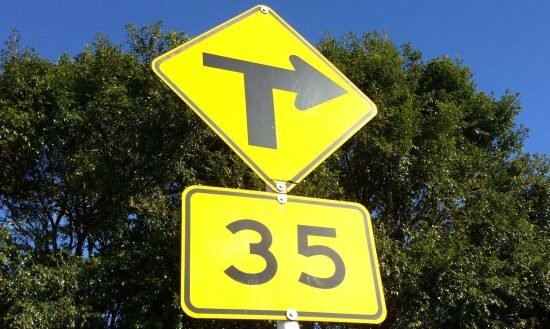 This is uncommon, but it can happen, especially on roundabouts. Positive camber (where the road slopes down to the inside of the corner) is more common. Traffic calming measures are installed to slow drivers down, but they are an irritation for people towing a horse float. Speed bumps, chicanes, speed tables, narrowings and other devices should be taken slowly. Plan stops for you and your horse. Driving with a horse float is more tiring than driving without one. Your horse may need food and water during the journey, and you can allow it to stretch its legs. Make sure you park in an area which won’t frighten the horse. Trailer sway is where the trailer starts swinging from side-to-side. Most new cars that are designed for towing have trailer sway mitigation systems. If yours doesn’t and your trailer starts to sway, take your foot off the accelerator, don’t brake unless you absolutely have to, apply the float’s brakes separately if you can, and keep a firm grip on the steering wheel. The trailer will come back into line as you slow down. After any incidence of trailer sway check the trailer as it may have been caused by a flat or under-inflated tyre. Trailer sway won’t happen at low speeds. If your horse doesn’t travel well you might be tempted to ride in the float with it, but this is illegal. Passengers must not ride in a horse float. 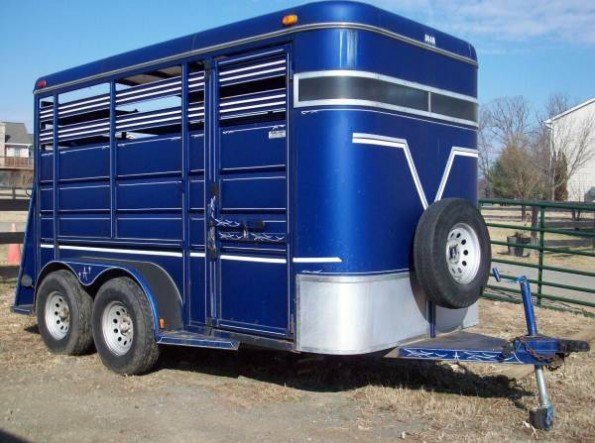 If you are carrying one horse in a two-horse trailer, put the horse on the right-hand side. This is because roads are cambered (slope) to the left, therefore it’s preferable to have the weight distribution on the right-hand side. If you have two horses, put the heavier horse on the right. As you will be driving more slowly than the average traffic speed, plus you won’t be taking corners swiftly, you will undoubtedly accumulate a line of traffic behind you. It’s the law that you must not prevent other vehicles from passing you. This means that you should give other vehicles the opportunity to overtake you when you can by staying to the left, and using slow vehicle lanes and bays. They must have sufficient tread depth to be legal, and be inflated to the required pressure when cold. If you use your float infrequently, check that the tyres aren’t perishing. Any horse float will be fitted with a parking brake and trailer brakes. The maximum weight for a trailer without brakes is 750kg, so your horse float will definitely have trailer brakes. Ensure you know how to hitch the trailer to your tow bar. A bolt through the coupling is good for extra security. If your float has a breakaway system which applies the brakes, check that the battery backup is working. Attach the safety chain to the tow bar and ensure the tow bar is not loose. The door or ramp on the back of the horse float must be secured before you leave – it mustn’t come open while you are driving. Check that the lights on the back of the trailer come on at the same time as the lights on your vehicle. You should have indicators, at least one red light, a brake light and possibly a reversing light. The rump bar prevents the horse from moving backwards while travelling. Check it’s the right height and position for your horse. If your float is a double float it will have an interior divider to separate the horses. This shouldn’t go all the way to the floor as it will make it difficult for the horse to spread its feet to maintain balance around corners. Your float should have a mat for grip, and you’ll want to check underneath to make sure the floorboards aren’t rotting. 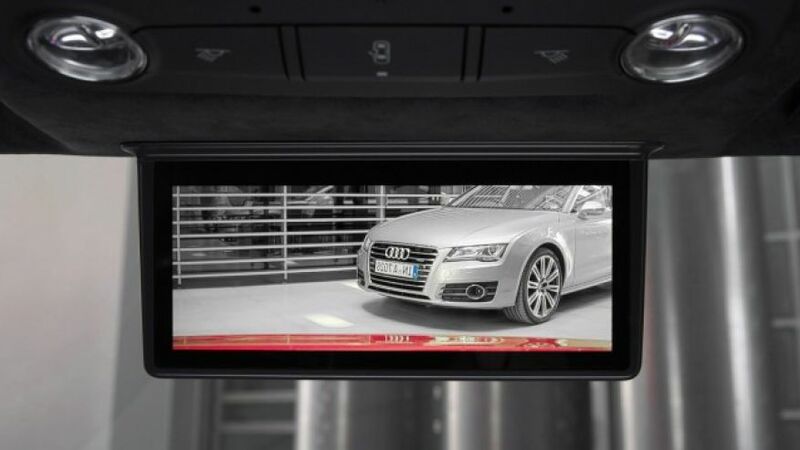 ‹ Will we need wing mirrors in the future?